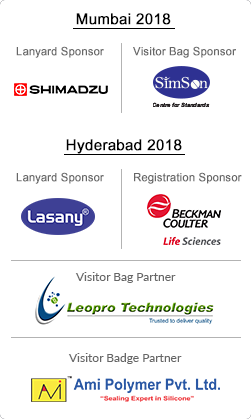 Messe Muenchen India Private Limited thanks you for visiting our website / registering for our upcoming event and for your interest in our company and our products. We take the protection of your private data seriously and we want you to feel comfortable when visiting our Internet pages. The protection of your privacy is of the utmost importance to us. Therefore, it goes without saying that we comply with statutory provisions for data protection. Our employees are obligated to treat all information confidentially and they receive regular training in the areas of data protection and data security. In the sections below, we would like to briefly explain how we protect your data and what it means for you when you make use of our online offers. When you click on an advertisement of one of the third-party providers listed below, a cookie for conversion tracking is deposited on your computer. If you visit a certain Internet site, the third-party provider and we can recognize that you clicked on the ad and were redirected to that site. This makes it possible for us to collect data that is important for our advertising activities. Where applicable, it tells us the total number of users that clicked on an advertisement, the length of their stay, their operating system, device model, location, payment transactions made and which mobile app functions have been used. However, it does not give us any personal information or sensitive personal data or information regarding the user’s identity. If you have any questions or recommendations about data protection at Messe Muenchen India Private Limited, please feel free to contact our grievance officer by e-mail .